Our last hike here was in the rainy season. The water is now clearer. This is another short-but-sweet hike, at a relaxed pace for a good social experience. 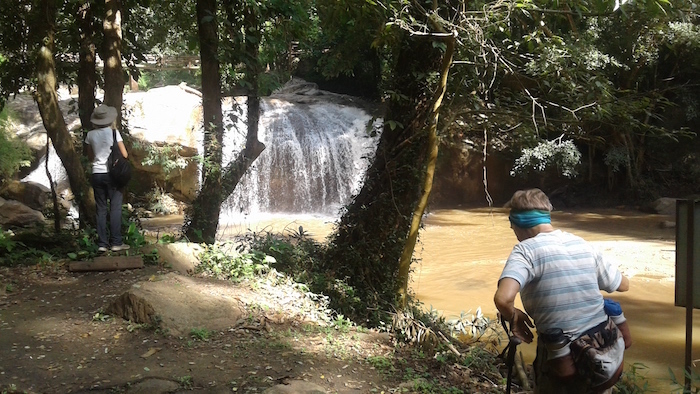 The Mae Sa Waterfall park contains ten tiers of waterfalls extending for 1.5 kilometres. Besides climbing up to the highest accessible tier and back – and pausing for paddling/bathing – we will include an interesting section outside the park. Total distance will be about 6km. 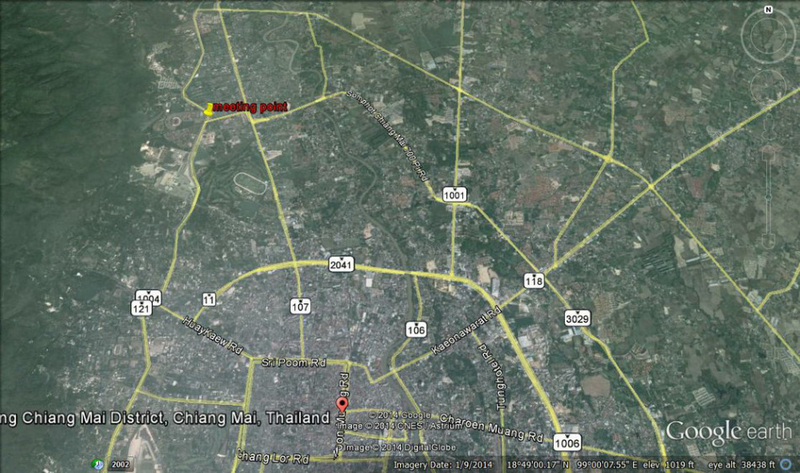 We will car-pool from the main meeting place (see details below) to the start point at “Between” cafe, slightly east of the Mae Sa Waterfall park entrance. On return, most of us will buy refreshments in this cafe. 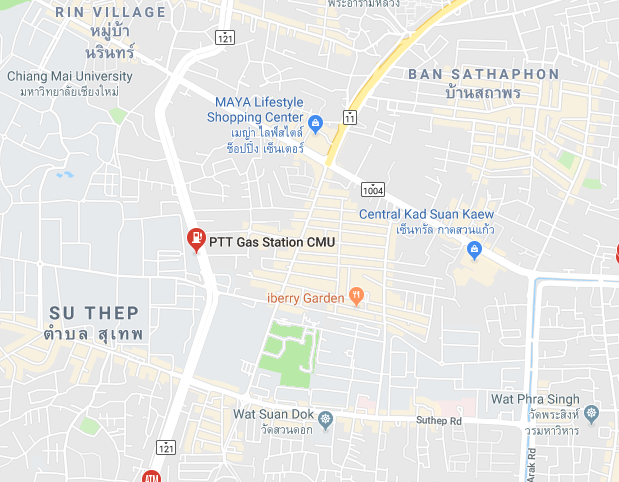 Meeting place: outside the 7-Eleven at the PTT fuel station just north of the gateway to Chiang Mai University on Canal Road. 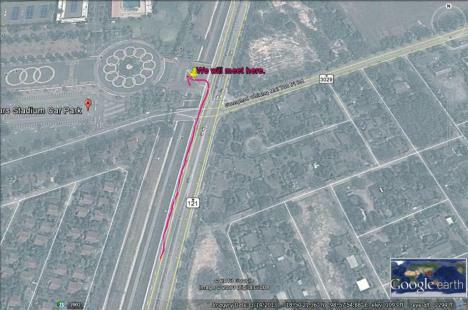 See map below and this link. Meeting time: 07:50. The cars will depart at 08:00. Alternative meeting time/place: 08:25 at “Between” cafe. 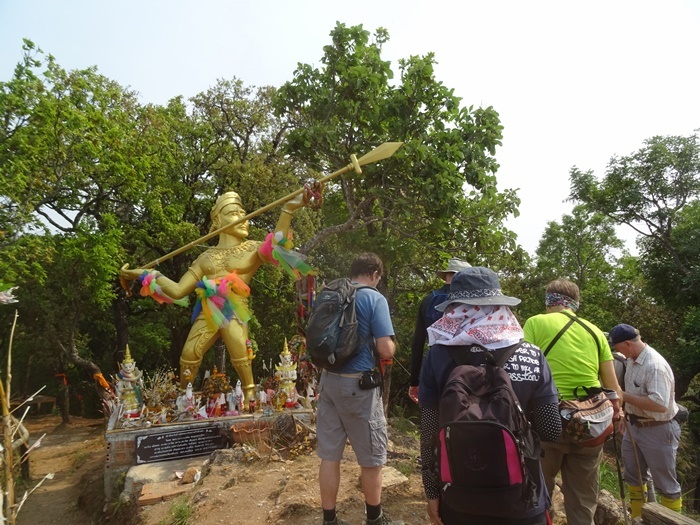 If you want to join: Please ensure you have read the general information on this website about our hikes and the spirit in which they take place. If you are fine with this, then just turn up at the stated meeting place and time. Lifts in cars are almost always available, though they cannot be absolutely guaranteed, and we cannot absorb groups. If getting a lift there and back, please offer your driver THB 100 towards fuel costs etc. Money for park entrance: THB 20 for Thai adult, 100 for non-Thai (irrespective of Thai driving license). Children half price. N.B. there are no concessions for over-60s. Hat/sunblock is specially recommended, as the latter part of the walk has little tree cover.